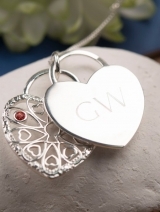 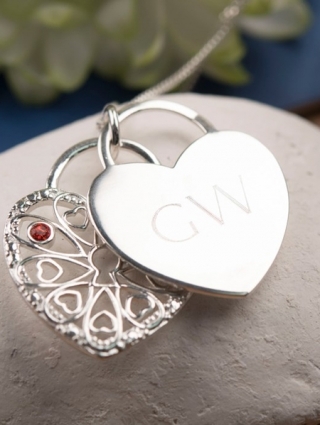 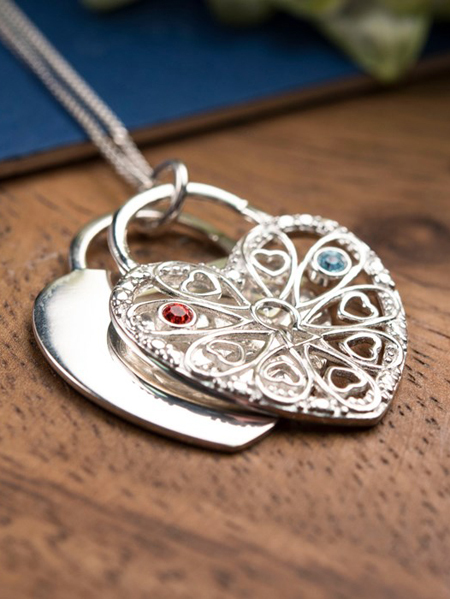 This Necklace is a stunning addition to any jewellery box! 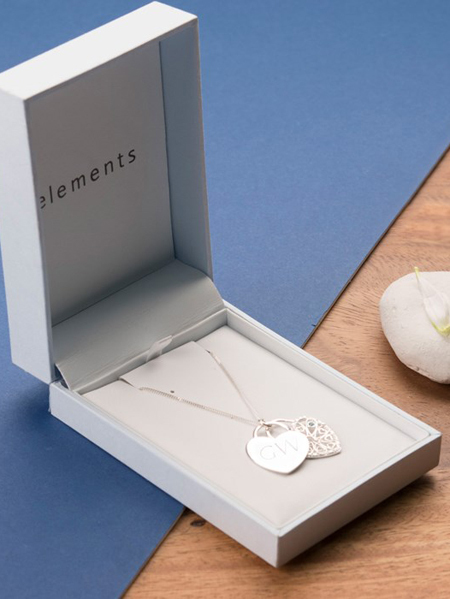 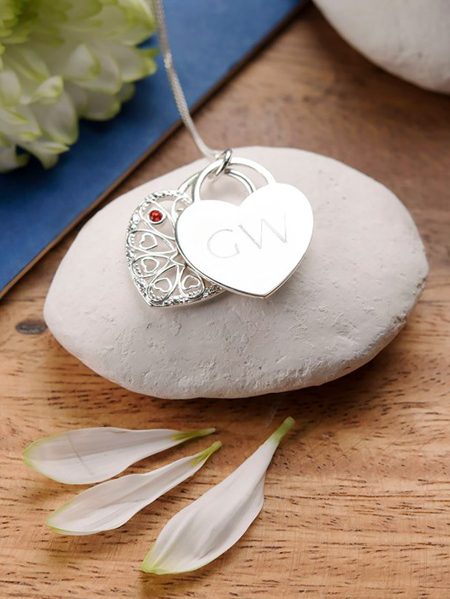 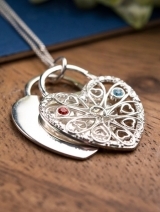 The open heart pendant is decorated with two crystals in a hyacinth and aquamarine colour and the solid heart pendant can be engraved with initials of your choice to make a one-of-a-kind gift. Surprise someone special on their birthday, anniversary or Valentine's Day!